Throughout this book, you will see subtle changes in my drawing style because my artwork has grown along with it. I did manage to keep the attention to detail, and continuity of the story. 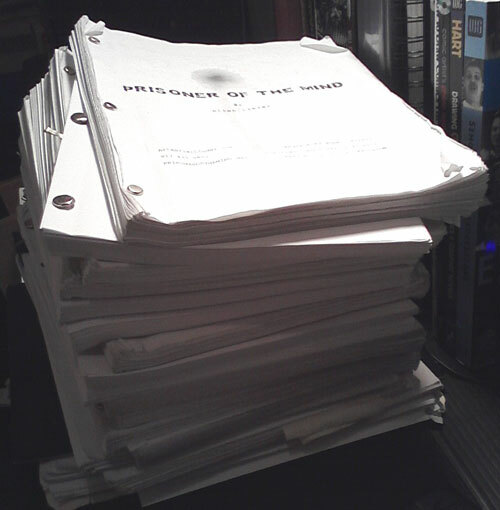 After numerous starts and stops, I finally went through about 20 or 30 script revisions until ultimately I was satisfied. I then sent the script around to many of my friends in and out of the industry for feedback. I did some final tweaking to the story and finished it. It turned out that I am re-drawing the entire beginning, so all of the drawings I did over the past 16 years start at about 25 pages into it. What this means is, that you will see all of my latest work first, progressing into the older stuff. I will post one new page each week until I have the whole thing online. Some pages, I will document complete progression from the story, to the storyboards, and then to layout, all the way to final ink.